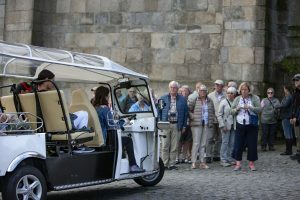 Tuktour Porto is an organization of ECOLOTOURS TURISMO, LDA established in order to promote tourism in the cities of Porto, Vila Nova de Gaia and Matosinhos in a creative and environmentally friendly way, through the introduction and use of so-called vehicle Tuk, 100% electric, the various tours of the city, which is called programs. The programs represent types of tours, each intended for different fringes of tourists. Each program then unfolds in circuits, to allow a more targeted type of experiment, covering all kinds of people and tastes. 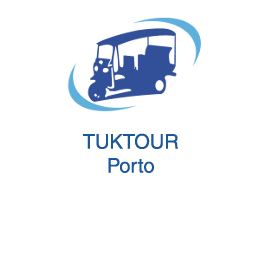 In addition, TUKTOUR PORTO, provides a range of services from participation in private and professional events, promotion of other companies for advertising placement via the Tuks and on its website, to selling Tuks not only to other tourist companies, as well to companies in other sectors with activities in mobility. 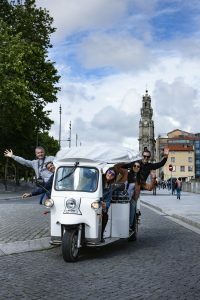 TUKTOUR PORTO wants, in this way, to give a decisive contribution to knowledge and tourist promotion of the cities of Porto, Vila Nova de Gaia and Matosinhos and disseminating this unique mode of environmentally careing transport, in the certainty that came to stay.